Skating on the Park Lake (Delaware Park), c. 1910. View above is from the Casino toward the Lincoln Parkway Bridge. Historical Society in the distance. Image source: private collection. View of the frozen Park Lake (called Hoyt Lake in 2008), casino at right, c. 1910. Image source: private collection. The Park Lake in Delaware Park, viewed from the steps leading from Lincoln Parkway, c. 1910. Image source: private collection. The images below are taken from "Pictorial: Buffalo-Niagara Falls and Surroundings" Red Jacket Edition, 1932. Otto Retter, publisher. The Skating Club of Buffalo was formed in 1921 from regular skaters on the Park Lake. They engaged in what was called "fancy skating," which would in 2008 be called figure skating. That group evolved into the Buffalo Skating Club. Tobaggan and sled slopes in Delaware Park. The statue of David is in the background. Cross country skiing in the park. 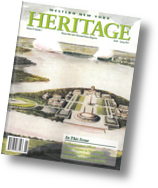 To see more photos of Buffalo and its parks in winter in the 1920s, see the Winter 2006 issue of Heritage Magazine. A tribute to the memory of Joe Overfield. The city park was once home to the Country Club of Buffalo prior to its move to Amherst. Savor the sweet success of the Buffalo Bills in their first championship season. It was a Christmas gift the fans would never forget.